San Diego Miramar College will lead a statewide program in which community colleges will train automotive technicians to repair and maintain vehicles using alternative fuels and advanced technology, the San Diego Community College District announced Friday. The college’s Advanced Transportation Technology and Energy Center will receive $2 million over the next three years to work with community colleges statewide in developing curriculum, acquiring equipment and training instructors who will educate students and faculty about clean fuels technology. The funding will also help educate technicians already in the workforce on alternative fuels technology, enabling them to master the maintenance of buses and other vehicles that run on compressed natural gas or electric power. “This contract recognizes the importance of keeping community college technician training on the same path as alternative fuel and advanced transportation technology development, thereby ensuring that new vehicles on the road truly work to achieve the state’s fuel use and emission-reduction goals,” said Greg Newhouse, director of the center. The money is being provided by the California Energy Commission through its Alternative and Renewable Fuel and Vehicle Technology Program, which Newhouse coordinates in San Diego. The CEC still needs to approve a final budget for the program. Funding has been crucial for community colleges to obtain new equipment, because a single truck or bus natural gas engine can cost around $45,000. 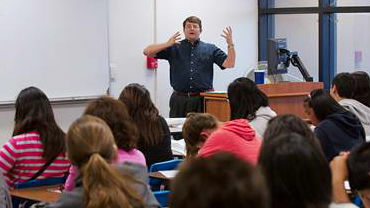 Providing instruction on fixing or maintaining the equipment can require several such engines, according to the college.